The sentiment snapshot series is back! 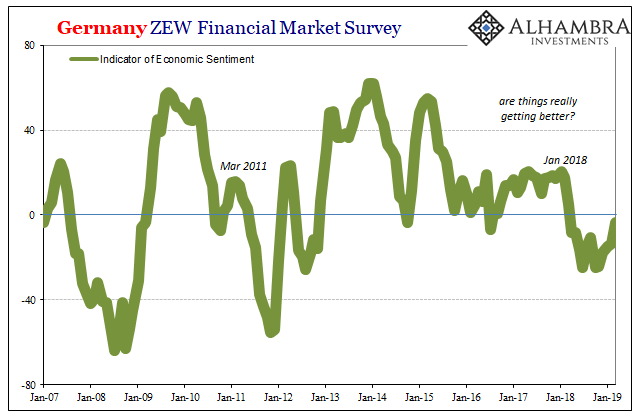 For context, in the sentiment snapshot series I look at some of the charts from the weekly survey on Twitter, which asks respondents to indicate whether they are bullish or bearish for primarily technical or fundamental rationale. I also add a few other charts from time to time when it helps explore a certain theme. 1. Fundamentals vs Technicals: The latest results showed “fundamentals” net-bulls at the second-equal lowest reading since the survey began, and yet “technicals” net-bulls at the strongest level since May last year. It’s quite easy to reconcile these two seemingly disparate views… on the one hand investors remain concerned about the fundamentals (softer domestic and global data, weaker earnings pulse, political risks etc), yet on the other hand the price action looks good – as I noted in the Weekly S&P500 ChartStorm, the S&P500 rejected the downside break of the 200-day moving average and closed above the key 2800 mark last week. So people become reluctant bulls. 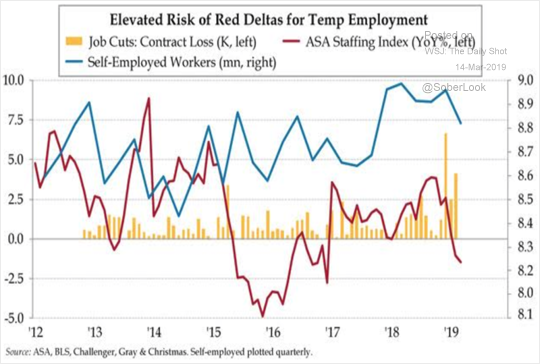 The United States: US temp employment has been contracting in recent months. The Government Sponsored Enterprises (GSEs) Fannie Mae and Freddie were placed into conservatorship with their regulator back in 2008 after housing prices declined and mortgage defaults spiked.